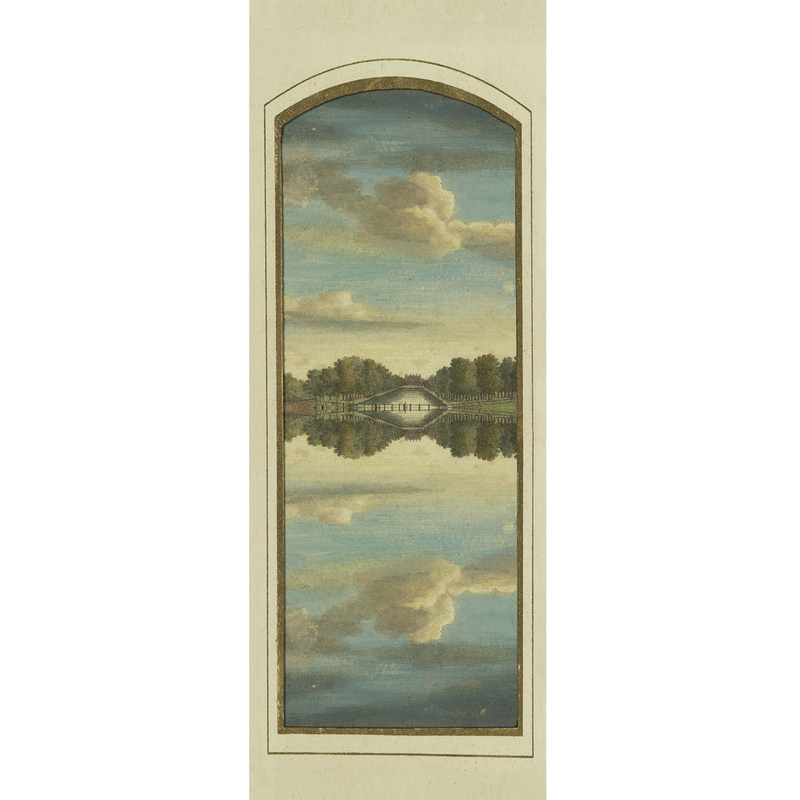 The large wallpaper panel ‘London Sky-1755’ is a view of St James Park in London. 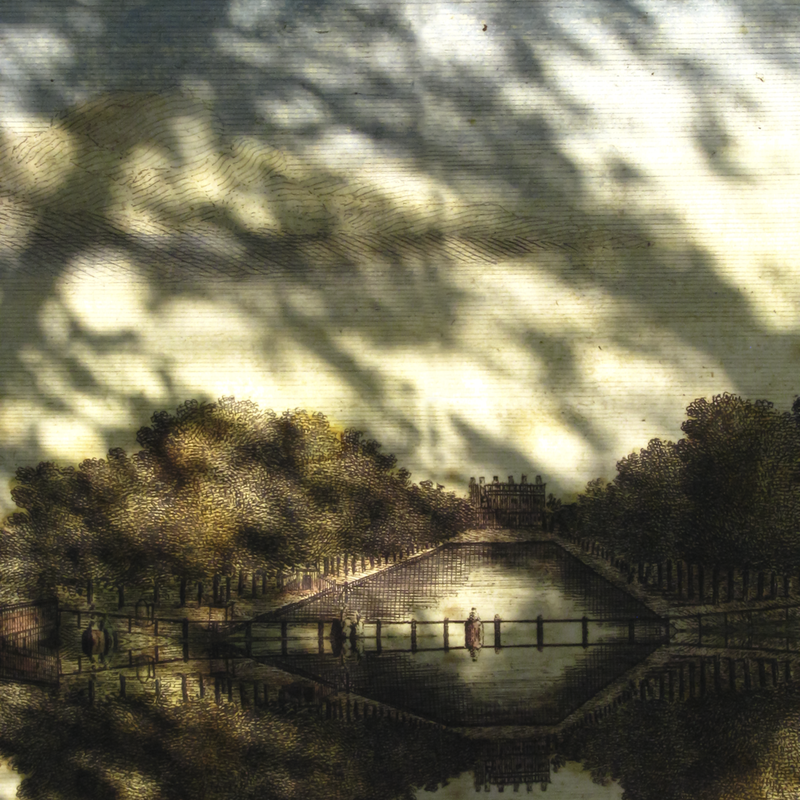 Playing with scale and proportions, we have framed the view into the park with a nineteenth century photograph album page, opening a window into the eighteenth century, with the mirror image of the sky filling the print. 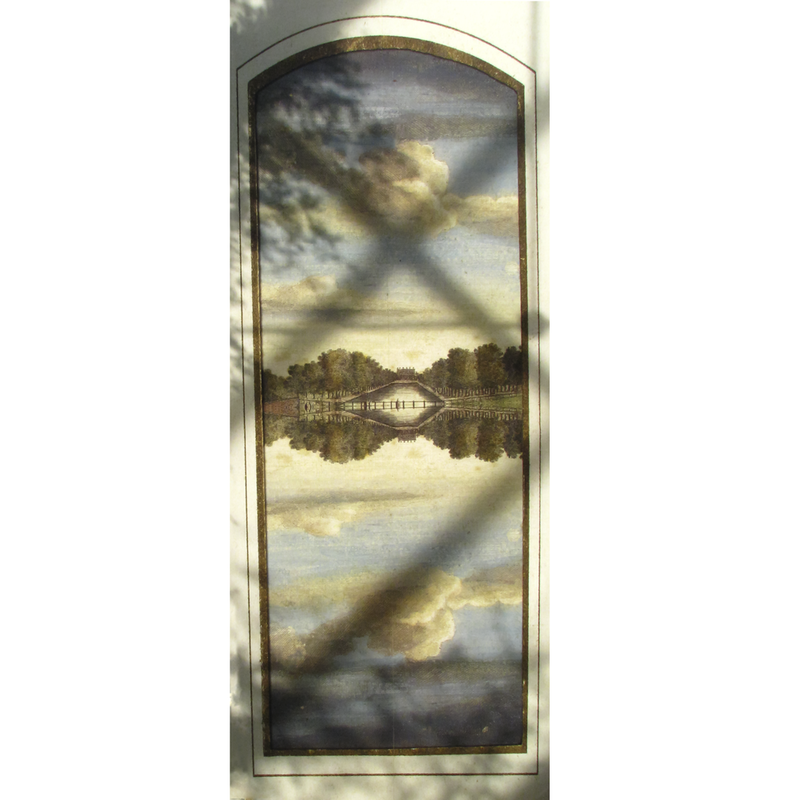 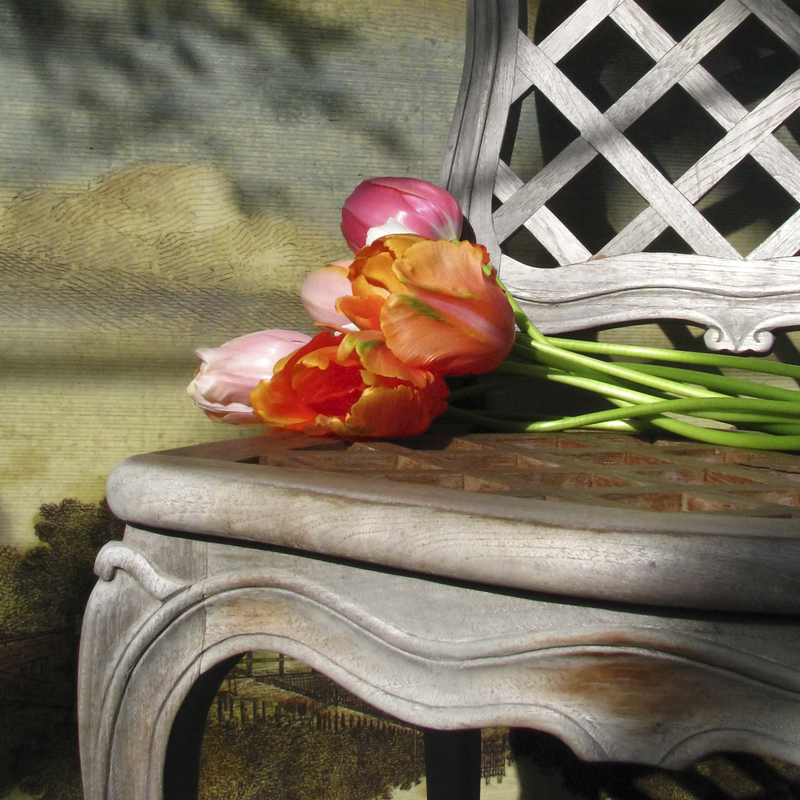 You can purchase HERE our London Sky -1755 wallpaper panel.